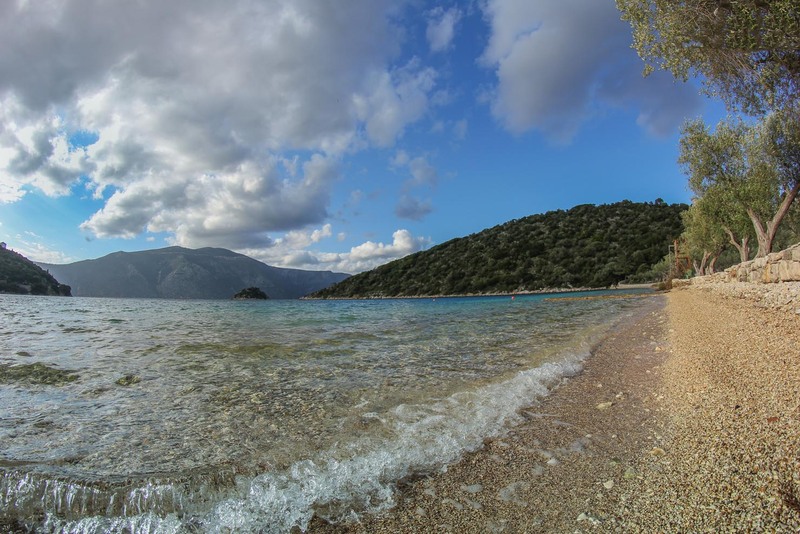 A small distance from Vathy, on the road to Northern Ithaca, we come across the beach of Dexia. 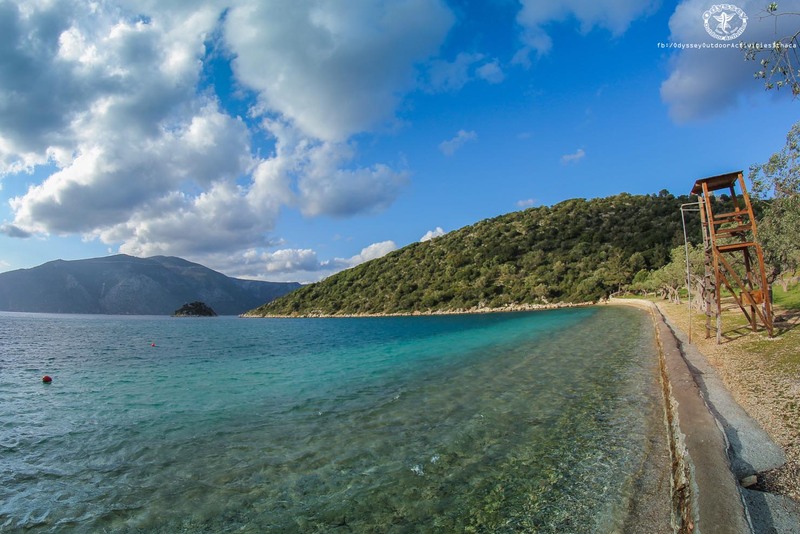 It is considered to be the ancient port of Phorcys, the arrival point of Odysseus on Ithaca after his many years of wandering. It’s a pebble-beach with crystal-clear, shallow water. It is ideal for families with children since it is surrounded by olive trees that generously offer their shade and coolness. The nearby, small island of Cazurbo (Skartsoumponisi) awaits brave swimmers. According to legend, this small island is the ship of Odysseus, turned to stone by Poseidon, the god of the sea.